Posted on May 1, 2018 | Comments Off on More Foreign Editions? Czech. It’s always fun to see how you look in foreign attire. And George Lucas looks pretty good in Czech. Comments Off on More Foreign Editions? Czech. This is kinda fun: on a bookshelf in my office — it’s actually a wooden crate at the base of my desk — I like to keep every edition of the three books I’ve had published over the last decade. For Washington Irving, that meant I had it in hardcover and softcover. 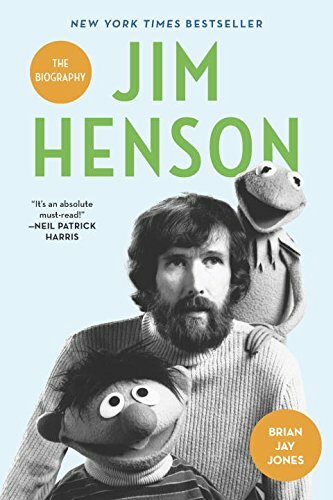 For Jim Henson, apart from the U.S. hardcover and paperback, there was a UK edition, a Polish edition, and an audiobook — the first time I have ever had an audiobook of my work, and I gotta admit, I still get a bit weepy listening to Kirby Hayborne read the heck out of it. George Lucas, however, has made it into a few more foreign markets. Apart from the U.S., UK/Australian editions and the audiobook, it’s also available — so far — in Italian, German, French, Portuguese, Spanish, Finnish, and Polish. While there can sometimes be cover or artwork variations on the foreign versions, for the most part, the overall look and feel of the U.S. version of George Lucas remains intact — a testament to the beautiful design work by the folks at Little, Brown. If you’re a foreign reader of George Lucas, let me sincerely say Grazie. Kiitos. Je nous remercie. Vielen Dank. Obrigado. Dziekuje Ci. Gracias. So, this showed up in the mail today. George Lucas: A Life arrives in paperback in a galaxy near you on November 21. If you’re so inclined, you can preorder it here, here, or here — or better yet, at your local brick and mortar bookstore. German friends and fans: the latest issue of the German pop culture magazine Geek! features not only a terrific photo of Mark Hamill on the cover and lots of cool articles on All Things The Last Jedi, but you’ll also get a three-page interview with me talking about George Lucas and the cultural significance of Star Wars. For those of you who won’t be getting to Germany any time soon — and who may not understand German — journalist Christian Endres, who conducted the interview, was kind enough to permit me to post our conversation in its entirety — and in English — here on the blog. Hello Brian! Have you ever met a person who didn’t know Star Wars? I don’t know that I’ve met anyone who doesn’t know what Star Wars is, but I have met several people who’ve never seen it. These generally tend to be people who were in their 30s when the movie first came out in 1977, didn’t get swept up in the zeitgeist, and then just never got around to seeing it. But Star Wars still creeps into their references, whether they know it or not – just like people say, “Rosebud” without ever seeing Citizen Kane, these folks will still say things like, “There is no try,” or “May the Force be with you.” Star Wars is truly in us all. Would you call Star Wars the greatest myth of our age? And does this make George Lucas the greatest fairy-tale-storyteller of modern time? I’ve spoken at the GBF before — back in 2014, I talked Jim Henson — and I’m looking forward to getting back again. If you’re thinking of attending, doors open at 6:30 p.m. at Gilchrist Hall Auditorium on the JHU MC campus at 9601 Medical Center Drive in Rockville. Come on out! It’ll be fun! Really! Geo rge Lucas: A Life finally comes out this Tuesday — and I can’t wait for this one to get into your hands and hear what you think. So far, those who’ve had an early look at it seem to like it. Kirkus Reviews — as reported back here — gave it one of their coveted starred reviews, as did Booklist. I was also thrilled to learn that Kirkus named it one of their Best Books of 2016 — you can see Lucas and Threepio anchoring the front cover of Kirkus‘s December issue over there at right. All in all, pretty nice. Oh, and it’s also been nicely reviewed in The Washington Post and BookPage, selected as a Book of the Month by Amazon, spotlighted in USA Today, Parade, the San Francisco Chronicle, the London Daily Mail, and featured on websites like Bustle and Cultured Vultures. Thanks for the kind words, folks. Lots more to follow in the coming days — I’ll be at the Louisville Free Library on December 13, and having fun on podcasts like Channel Star Wars, Star Wars 7×7, and Coffee With Kenobi, for instance — and I’ll do my best to keep you posted. Thanks for your enthusiasm so far. I appreciate it. 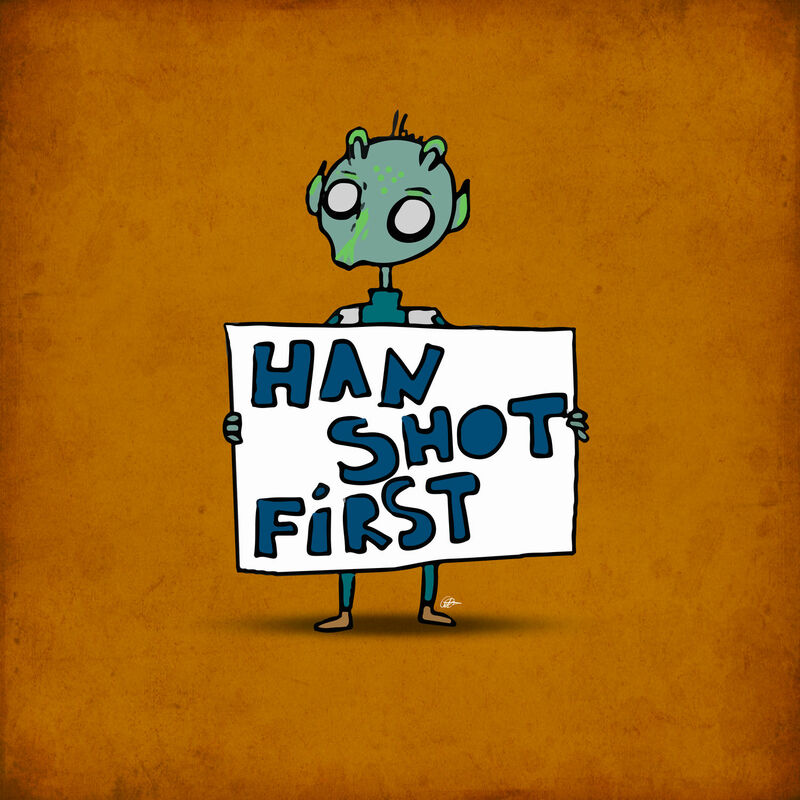 Many Bothans died to bring you this message. I’m so flattered and appreciative of his kind words — especially since I’m a big fan of him and his work (I once waited in line nearly an hour to have him sign my copy of Identity Crisis…). But then, you’re probably a fan, too — and you should definitely go visit his website and see all the neat stuff at www.bradmeltzer.com. As someone who’s had the Kirkus Reviews bottle smashed over his head — then been rolled gleefully in the broken glass — I always hold my breath when I hear their review is coming down. 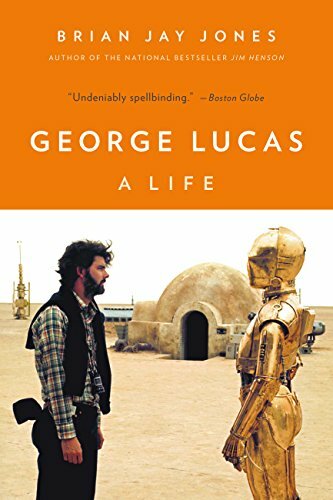 This time, I’m thrilled to be able to tell you that George Lucas: A Life was not only well-reviewed, but received a starred review, no less — my first one ever. If you want to read the review in its entirety, you can see it on the Kirkus website.